Gyankunj Project Registration DetailsGyankunj Project mate je mitro ne Registration karavvanu rahi gyu hoy ane registration karavva mangta ho to Niche ni link dvara Google form Online bhari do. 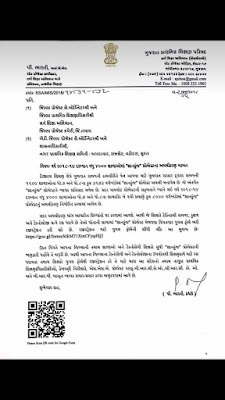 tamari school nu selection ema thai jashe.Gyankunj Project Dhoran 7 ane 8 na balako mate no chhe. Now you can get JOb information & Competitive Exam’s Preparation materials through Edukunj site Easily. We daily publish Tet Htat Guru’s JOB MAHITI on our site job mahiti Give Gujarat & India Level all type of new jobs information. Here you can Get Various job Like Graduate jobs,Engineer jobs,Diploma candidate jobs,Mba jobs,Law jobs and other various jobs. Edu kunj is famous for competitiveexam’s preparation. we provide complete exam materials for various exam Like Tet,Htat,Tat,police exam,Clerk exam, Gpsc Exam,panchayat clerk exam and other Gujarat Level Exams. Gyankunj Project Antargat tamari Shala ne su su malshe e joiye. ProjectorInter active Boardto zadpathi aa form bhari do ane tamari school ne Digital banavo.Gyankunj mate Registration karavva mate niche ni link par Click karo.